Babylon 5 Trading Cards Season 4 1997 Skybox - PROMO card #[nn]. 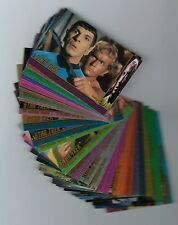 1998 Star Trek The Original Series season 2 - Character Log cards $1.25 each . Babylon 5 Trading Cards Season 5 1998 Skybox - PROMO card #[nn]. Star Trek The Original Series Season2 trading cards Behind the Scenes Card #B60. 1995 Star Trek VOYAGER Series 1 Trading Card Packs Skybox - Lot of 5 packs. 1996 Star Trek VOYAGER Season 1 Trading Cards - 24th Tech Insert card #196. Star Trek The Original Series Season2 trading cards Behind the Scenes Card #B59. Star Trek the Next Generation trading cards PROMO Card #S2. Star Trek the Next Generation trading cards SURVEY Card. 1996 Star Trek VOYAGER Season 1 Trading Cards - 24th Tech Insert card #194. 1996 Star Trek VOYAGER Season 1 Trading Cards - 24th Tech Insert card #195. TOY STORY trading cards (SkyBox 1996) - Color me Iron on Card #5 of 6. 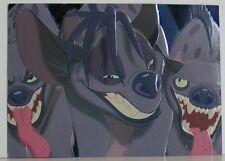 1996 Hunchback of Notre Dame Trading Cards Disney SkyBox PROMO sheet. Star Trek The Original Series Season 1 trading cards PROMO Card 12.97. 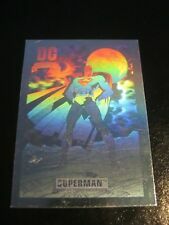 Skybox 1993 The Return of Superman Base Card #62 Schemes of Evil! 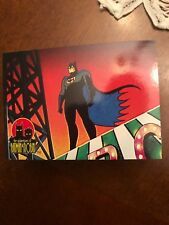 Skybox 1992 Doomsday The Death of Superman Base Card #82 Desperate Moments! 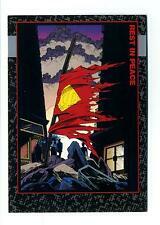 Skybox 1992 Doomsday The Death of Superman Base Card #83 Takedown!